What is the Hungarian currency, is it still cheap to go to Budapest and spend a couple of days there or recent years, inflation etc. have made Budapest expensive? How much does it cost to travel to Budapest, stay in a good hotel or hostel, eat well, etc. in Budapest? Read about some money matters like the current prices of foods, drinks, entrance fees etc. in Budapest, Hungary. 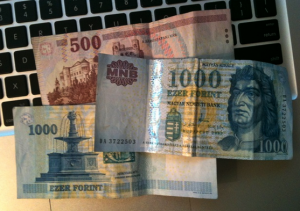 Learn about some Hungarian tipping tips, e.g. how much tip should you leave in a restaurant.